Governor of the Saudi central: put the currency "very reassuring"
Actually it takes 3.75 us dollars to equal 1 Saudi riyal. Did I purchase Counterfeit Dinars??? I got on this rollercoaster ride back in 2010 by purchasing dinar through two different dealers. I was told at the time that both were very reputable and so I bought in. Now as this ride is looking like it may be coming to a close (Please God, I pray) I had the thought that what if I purchased counterfeit dinars through "dealers" that were just trying to take advantage. I have NO reason to suspect this but just have had the thought a few times in the last couple of months that I need to verify. I have been a lurker on this site for about 5 years and use it for all of my information Dinar related. 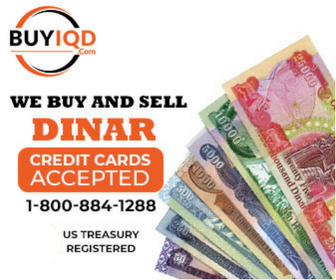 So I would pose the question regarding authenticity of Dinars acquired through: Dinar Trade and Dinar Banker (Sterling currency group) both packages came with certificates of authenticity. Again, I have no reason to suspect the currency is counterfeit. My thought was to verify and to get more from another source (bank) if it was suspected by anyone else.